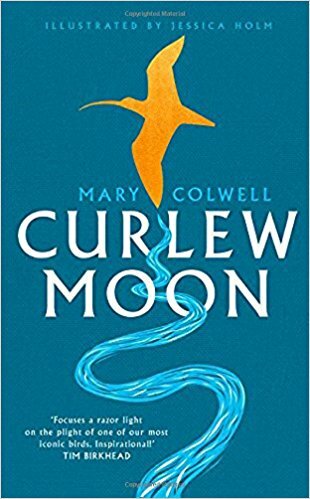 Curlew Moon by Mary Colwell (William Collins, London, 2018). Curlews worldwide are in trouble; in fact some species have only recently become extinct. Mary Colwell loves curlews, but embarks on what must have been a difficult and painful journey to see what is going on in Ireland, Wales and the middle of England, where Eurasian Curlew declines have been catastrophic. It is easier to close our eyes to it all, but Colwell sees the problems first hand and meets the people who grasp the nettle and try to tackle them head on. The issue is that last-ditch measures – isolated patches of habitat management, drastic and distasteful predator control and so on – can only work in quite small areas. The real problems, from climate change to massive degeneration (mainly simplification) of farmed habitats, are more intractable, perhaps impossible. The book, with some fine drawings by Jessica Holm, beautifully evokes the special qualities of Eurasian Curlew, from estuaries to moorland (there are so few curlews left on them that river-valley meadows and damp southern heaths hardly get a look in any more). It then moves on region by region, starting in Ireland (that beautiful country where birds must surely be secure? ), where several thousand pairs of Eurasian Curlews have declined almost to nothing. The author meets many people who manage the land: for the often tough and uncomfortable business of conservation, for producing our food, or for shooting grouse for fun. The debates can be tricky and difficult. The RSPB's controversial recent predator control is explored and, as the book says, this has always been properly and publicly documented, whereas other organisations are far less willing to reveal what they may do. Shooting interests especially are far less likely to have any scientific basis to their actions. In the end, Eurasian Curlew is the star of the book and anything that raises awareness of the tragedy that is befalling the species is welcome. Let's just hope that we – usually meaning someone else, understandably – can find a way to stop it.